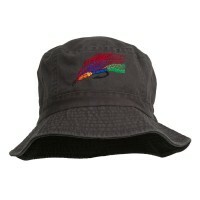 Custom bucket hats are one of the most versatile and sought-after hats. In fact, they never go out of style because you can wear them anywhere. 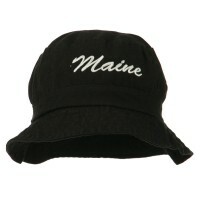 The best thing about custom hats is that they are designed to be trendy and significant. What makes you, you? This is a question that many people ask themselves every day. One of the many answers to this question is through the clothes that you wear. Just as every person has a story, everything you wear should also have a story. This can be done through Custom Bucket Hats. 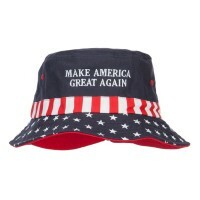 These hats are similar to regular bucket hats in the way that they are designed, except that they feature a special design on the front of the hat. This design can be words, logos, or symbols. Whatever the design may be, they all have a meaning behind them. Some hats feature the names of occupations, states, and countries all holding a special meaning to each person who wears them. Custom Bucket hats also are made with a strap used to adjust the size of the hat, depending on the person wearing it. 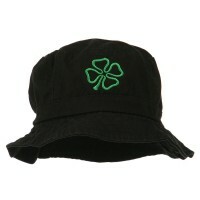 This eliminates the problem of the hat being too big or too small to wear. What is better than Bucket Hats? 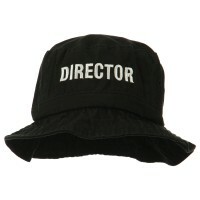 A custom Bucket Hat, of course! 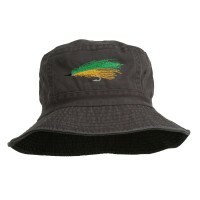 Custom Bucket Hats come in various designs and styles so you can accent any kind of outfit. Aside from accenting your fashion style, custom bucket hats are also comfortable. Bucket Hats are great statement pieces that you can use to inform others of a particular cause or hobby that you are supporting. For instance, if you love fishing then the Roll-up Brim Hats will definitely shout out your love for fishing without you having to say a word to anyone. 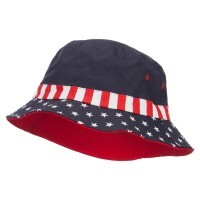 If you are celebrating the fourth of July, Veteran’s Day, or Election Day, you can show your patriotism by wearing the US Flag Bucket Hat that looks very stunning with the red, white, and blue adorned with stars. It brings a bold statement to your entire look. Custom Bucket Hats can also look simple, too. If you love hiking and you are looking for Bucket Hats that you can take with you on your hiking trips, then the Crushable Hats is for you. It is built to outlast outdoor elements.